Making dinner is hard. But making it when it’s less than 6 ingredients changes the GAME! 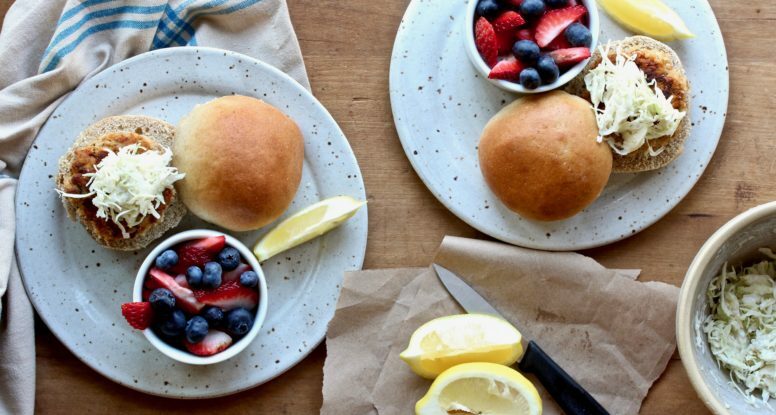 With a little bit of prep, you’ve got a nourishing meal on the table. Pretty awesome, right? 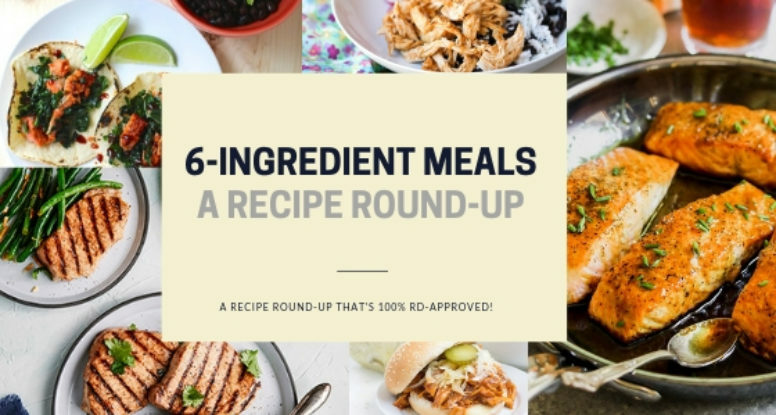 Grab the recipes below! When I was pregnant with the little sous chef I craved 3 things – guacamole, milk shakes and burgers! The first two made perfect sense to me, but the burgers were a big surprise. I don’t remember ever really getting excited about burgers any time before that, what made pregnancy so different? But here’s the deal, I only wanted BEEF burgers. So weird! Well, ironically, that craving still exists even 5+ years after the sous chef was born! And it was about time I shared a burger recipe with you. 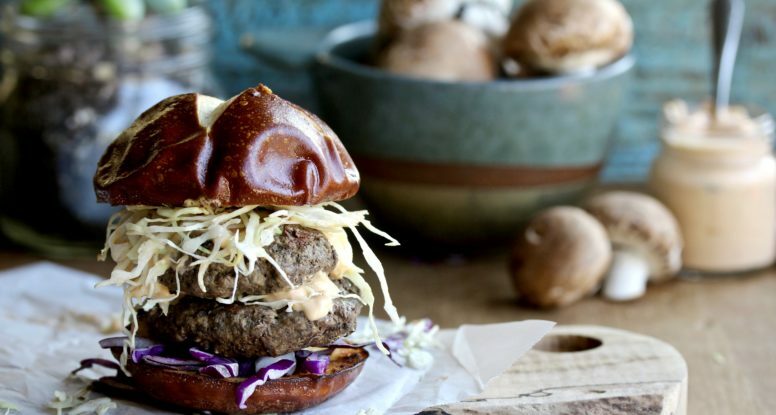 Let’s talk about these Mushroom Beef Burger Sliders! 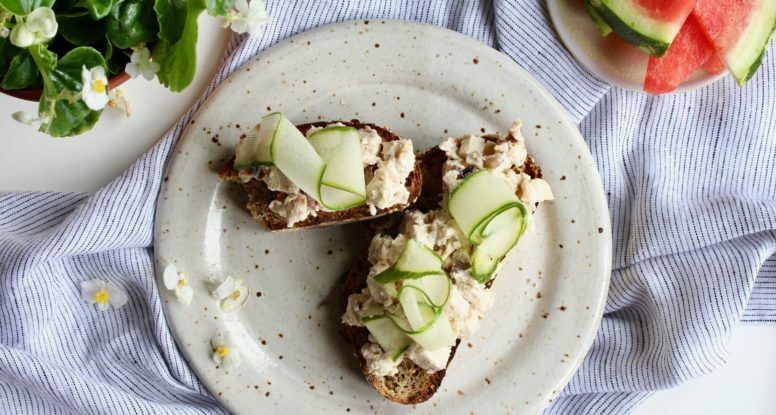 There’s something lovely about chicken salad, am I right? But not that chicken salad in that plastic container at the gas station convenience store. That’s the opposite of lovely. I’m talking about the homemade stuff that has big chunks of chicken, just the right touch of creaminess and the perfect amount of “stuff” to make it taste like perfection. You like that too? Great, than you’ll love this CREAMY GREEK CHICKEN SALAD! My brain is completely stuffed with tacos. Every single time I try to think of something besides tacos, I think of tacos. And it makes sense, considering my cookbook, Taco! Taco! Taco! just dropped (that makes me sound like a hip pop star, right? No? HA!). So, you would think I would be creating a recipe for something other than tacos, but nope, I’m not. 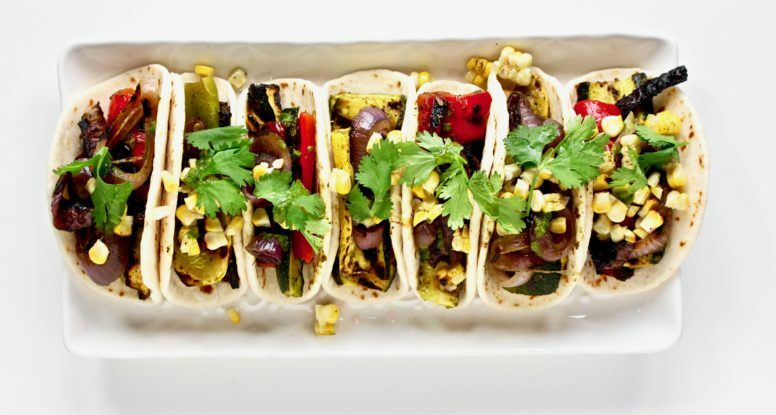 I’ve had this weird craving for tacos stuffed with veggies, so yep, I came up with these Spicy Grilled Vegetable Tacos. Do you love to cook? Well, me too. But sometimes, I want someone else to do the work, know what I mean? That’s why I give my slow cooker a big hug everyday. Ok, maybe not EVERY day. And maybe I don’t exactly hug it. But man, I do appreciate it! So if I see an opportunity to use it, I do. And I saw one when I scored my free copy of Sunday Suppers from America’s Test Kitchen! 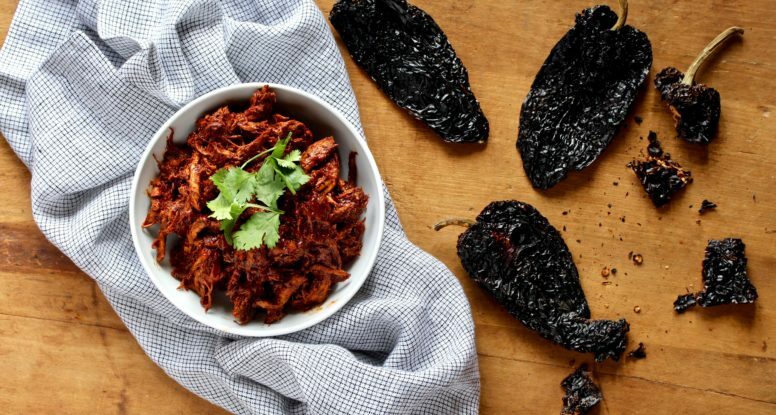 Ancho Orange Pork, anyone? 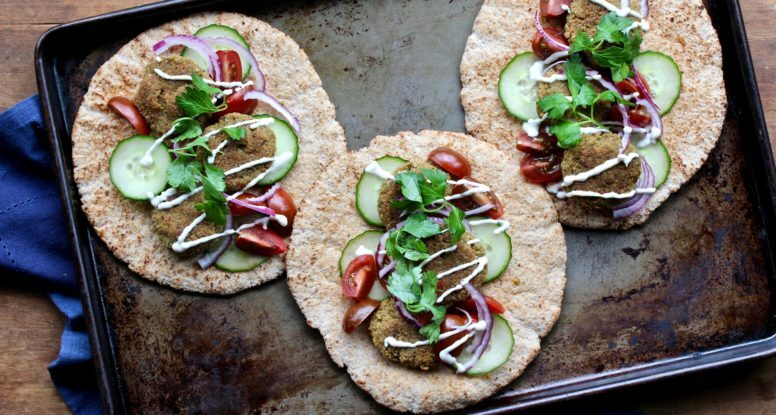 Never did I dream that I would ever be posting a falafel recipe on my website. Let’s just say I had a bad falafel salad instance years ago. And I just couldn’t get myself to try it again. Until THIS YEAR. Seriously, this has been the year of falafel and I’m glad I’ve given it a second chance, because it’s AWESOME! And I’m really digging this version, loaded with pistachios! In case you haven’t been following along on my Instagram account (shame on you! ), I’ve been doing this little thing called, “What Was That?” on my Instagram Stories. It’s a weekly series where I break down a cooking method, recipe, ingredient, etc, from the previous week’s episode of Top Chef. Fun, right? Yeah, tune in, you’ll love it! Essentially, I’m trying to make YOU a Top Chef in YOUR kitchen! Last week’s episode was all about German food. 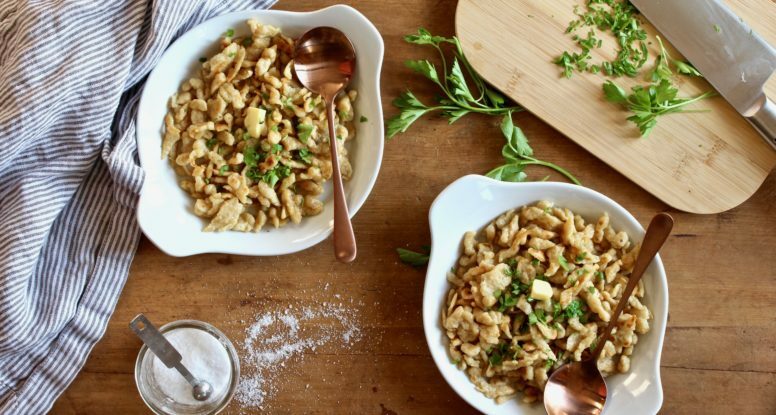 So this week, I dedicated my Stories to the beloved German dumpling, spatzle! When I tell people how much I love legumes, they look at me like I have a third eye. I’m pretty sure that I don’t, so I can’t figure out what the funny looks are for. I mean, is it so crazy to love legumes? I sure don’t think so and I’m about to tell you why. And not only that, I’m going to share a pretty darn delicious recipe for Red Lentil Dal. Read on, friends! Sheet pan meals are the best. And pizza is pretty awesome too, so why not combine them? That’s just what I did with this Roasted Vegetable Sheet Pan Pizza! Get the recipe plus some real talk from yours truly!